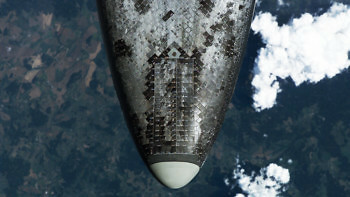 While ceramics have been used in jet engines and missile nose cones before, this is the first time they’ve been applied to a wearable system of clothing. Designed for situations where you only want one or two light layers next to your skin, but you still need your clothing to protect you, it’s tough enough to withstand whatever trials you put it through. Whether that’s off-road running or biking, a multi-stage endurance race, hacking through undergrowth, or pulling a sled in the Arctic. 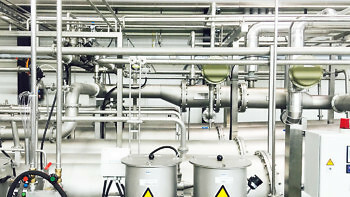 Even though it’s embedded with over 100,000 ceramic particles and part of the toughest layering system on the planet, it’s highly elastic and completely smooth and soft to the touch. 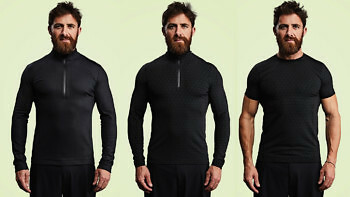 We shot the Condition Black Ceramic Baselayer on survival expert and former special forces sergeant Jason Fox, who is 6ft 1 / 185 cm and wears extra large, and explorer and former elite reconnaissance sniper Aldo Kane, who is 5ft 9 / 175 cm and wears size medium. If you’ve already got our Planet Earth Baselayer then you’ll find this has a similar fit. 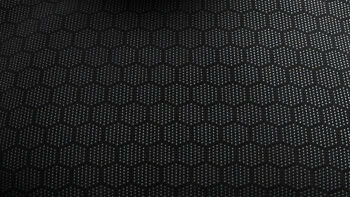 Each Condition Black Ceramic Baselayer is embedded with over 100,000 ceramic particles bound together in a honeycomb formation. While every one of the particles is smooth, flat and soft to the touch, the only material on earth that’s tougher than ceramics is diamonds, making the baselayer highly abrasion resistant. The particles can’t be scratched off or washed out. The baselayer incorporates 20% elastane and offers incredible 4 way stretch - even the stitching is elastic. Two seamless side panels - running from the bottom hem, up the side of the body, then down the inside of the sleeve to the cuff - give you complete freedom of movement, with no seams to prevent the fabric stretching as you move your arms and upper body. They also make you more comfortable by removing the chance of seams chafing your armpit. 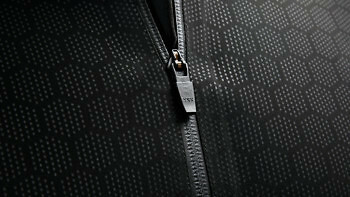 The baselayer has a matt black lock-down zip, which means you can secure it in place at any point. Once locked in place, the zip pull won’t bounce and the zip won't come undone, however much you move around. It stays exactly where you left it. The zip has a rubberised, waterproof surround, and a soft zip guard at the neck. 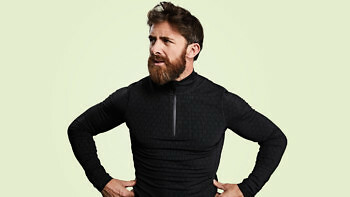 Our Condition Black Ceramic Baselayer is breathable and hydrophilic, which means it will soak up any sweat and get rid of it fast, so you stay comfortable and dry. While the outside is super-resilient, the underside has a soft, silky feel, making it easy to wear all day. The baselayer is lightweight, so you're not paying for the abrasion resistance by having to carry extra weight. 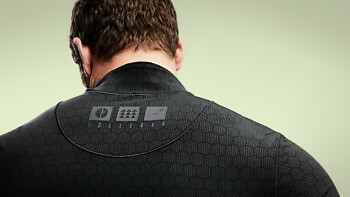 This baselayer is part of a wearable system which also includes a ceramic-impregnated t shirt and midlayer. You can wear them separately, two at a time, or all three together. Designed with Vollebak athletes Jason Fox and Aldo Kane, two former elite military operatives turned adventurers, it's a sports layering system where every layer is as tough as the next, while still being lightweight, soft and comfortable on your skin. This is the most amazing t-shirt I have ever worn. Specifically it’s probably the most advanced technical shirt available and certainly the toughest – without sacrificing comfort and breathability. As the name states, it’s got actual ceramic particles embedded throughout the shirt for abrasion protection – also, it cools the body like AC.